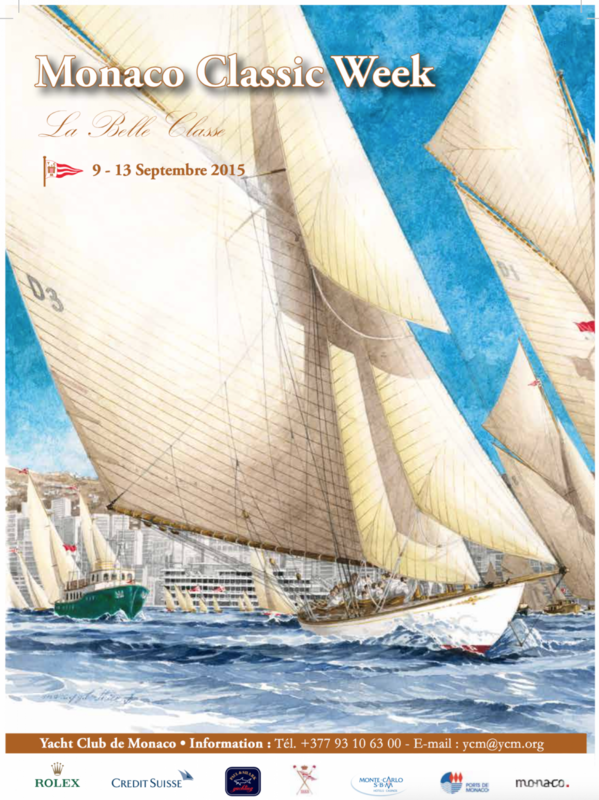 From September 9-13, 2015, the new Yacht Club of Monaco, inaugurated by HSH Prince Albert II in June 2014, will welcome the traditional vintage sailboats and motor yachts for the 12th edition of the anticipated Monaco Classic Week (MCW) presided by the Prince since 1984. From the first sailing regattas were held in the Principality in 1862, to the motorboat meetings of the early 20th century and, from 1904, the races, presentations, trials and performances of the early combustion engines which continue to attract Europe’s elite from the industry and the aristocracy. They catapulted Monaco into a privileged circle of maritime nations, making it a regular port of call for the world’s biggest yachts. This year fifteen prestigious Riva will be the first to dock in the port of Monaco to illustrate the Art of Sea Living and the Principality’s glorious maritime heritage. This biennial elegant event organized by the Yacht Club of Monaco will be complemented by exhibitions and competitions in Monaco’s harbor, at sea and on land, including the traditional gala where the Sea Personality will be honored, following that o Sir Robin Knox-Johnson in 2013, who succeeded Jacques Perrin. We will be all transported back in time to the glorious Belle Époque. As in 2013, when there were around fifty dinghies 12, classical centerboards brought in solitaire or in double, Olympic series for the first time in 1920, will again animate the waters joyfully. A wonderful fleet of six Twelve-Meters JI (France, Sovereign, Ikra…), where the first was built in 1907 and that sailed in the American Cup of 1958 to 1987, will again rejoin this year the four key players Fifteen-Meter JI, Hispania, Mariska, Lady Anne and of course the YCM’s own Tuiga. This 15 meter-class 1909 Fife Cutter, that flies the Monegasque colors for the Monaco Yacht Club since it was acquired in 1994 at the initiative of Prince Albert II who had it restored it its former glory. The Tuiga has participated in all the major Mediterranean Sea regattas as well as those in Northern Europe. Eric Taberly, a French founding father of epic sailing, considers her one of the most beautiful yachts in the world. The fore-and-aft cutter Partridge, that was reborn in 1998, after a long restoration process of 27 years, has participated in all the Monaco Class Week events. Designed by J. Beavor Webb, architect of Galatea, unfortunate British challenger of the American Cup in 1886, and built by Camper & Nicholson, Partridge was retried and identified in spite of believing it was a pilot boat, because a marine carpenter had engraved his name and a date, 1885, in the boat hull. Owned by a member of the Yacht Club of Monaco and sailing under the British flag, it is the doyen of yachts of the Club. This year the Nautical Society of Monaco, that shares the new building with the Yacht Club on Quai Louis II, has created a new event in organizing a rowing regatta on board classic skiffs (yoles in French), true jewels in varnished wood, but also formidable race engines. Created in 1888 under the name Regattas Society, this emblematic club, that today devoted to rowing, initiate Monegasque youth in this requiring spot, and prepares for October 2016 the first World Championship, never before organized in the Principality. The main event of this 12th edition of the Monaco Classic Week, will be the unveiling at the new Club House at the Yacht Club of Monaco of an immaculate boat designed by its designer Lord Norman Foster, that most of the participants will discover on this festive occasion. We are really curious to see what will surely be another Foster’s new masterpiece.